"Workamajig is good when you have a lot of of detailed projects"
I like how you are able to add in as many projects as needed and list as many job functions as needed. There is a lot of flexibility when it comes to project functionality. Th search bar is very hand when looking for a specific project. It's nice to submit all time cards all at once. There is a lot of detail in each project. It takes a while to get used to all the buttons and pages. The user interface is pretty confusing. They have icons for one page but I don't think they are very communicative of what they represent. Overall the user experience is not the best. There are many ways to achieve the same goal but it is actually more confusing than helpful. For someone to wear different hats during a project, I would have to be added as additional roles. It takes a long time to adjust and get the hang of this software. If you have the time to learn then you're good. From my management, the team that helps set up the program are really great, so they have excellent customer service. The problems we are solving are tracking hours that we spend on projects. We do not bill based on time logged but it's good to know how much time we are spending on different clients. What I like best is the visibility that I have within the staff schedule. It is so incredibly helpful to see all of our creative members time within the traffic calendar so that I can properly allocate and resource time and talent. I like that I am able to assign different tasks, to different projects, for different amounts of time, to different people, and see it all in one place. What I dislike about Workamajig is the lack of functionality between synching your google calendar with your workamajig calendar. When trying to do so, time typically duplicates and then it appears as if someone has double the work of a particular task or meeting than they should. So instead, we have had to un-synch these calendars. That means if you receive a meeting notice within your google calendar, you then have to go into your workamajig calendar and create the exact same meeting notice so that it blocks your calendar accordingly. We are now learning how to accurately resource and schedule our creative team. Without the use of workamajig, it would be nearly impossible to keep track of how busy everyone is and what exactly it is that they are busy with. Now, we are able to manage schedules, meet deadlines in a more efficient way, predict the amount of hours that one particular project may need in one week, know when there are open gaps to be filled, etc. Easy to navigate and enter information. The GUI is clean and clear. Clutter seems to be well managed. The way Workamakjig has "page" flyout outs from the side keeps clutter down. It's surprisingly simple and clean. Probably one of the better GUI interfaces compared to other CRM tools I've researched in recent days. Does not integrate with Outlook very easily. Requires IT involvement. I would like to integrate to Outlook without IT support. The first thing I did when Workamajig became my current and company selected CRM is I went to the app store to download the app. Nothing! That was a major surprise. Maybe you have as a work-in-progress that I don't know about. Either way, it's a must have in today's world. Allow it to integrate to email, mobile devices without involving IT department. For me, it helps manage client activity. From a sales perspective, Workamajig is probably not the most sales person friendly, but it gets the job done. I would be great if I could stay connected to my clients using a mobile app. Pipedrive, Hubspot and several other all seem to be mobile friendly. If Workamajig wasn't just for the desktop, I think it would have a lot more potential. For me, I rely on it to keep track of sales activity. Reminders fall short so it would be a nice feature to have also. Again, maybe it's all user error? Thank you for sharing your experience with Workamajig; the areas that work well and the one's we can improve upon. We are continually working to better our user experience, but currently have solutions available for the issues mentioned. Our support team is happy to review in detail at support@workamajig.com and for mobile access you can login normally using your mobile browser (make sure to use /platinum); the UI is a responsive-design, so it will show a different interface when used on a mobile browser vs desktop. "Better than the classic version, still needs tweaks"
I don't like that I as the timesheet administrator can't create a timesheet for someone if nothing is entered on their timesheet already. If my employee is OOO, I'd like to enter in our PTO timesheet for them to make my daily reports accurate. I also don't like that I can't update the in/out board for other team members. Sometimes people forget to update it, but I know they're OOO and would like to be able to update that so the entire team can see it. A more streamlined way of how we used Classic. I expect we will modify our process in the future with some capabilities Platinum has. As of now, we've been getting used to the program as our current process stands. We appreciate your feedback, as it gives us the opportunity to continue to improve our product. There are available solutions to the specific issues you mentioned regarding Timesheets and we'd love to help you resolve them, but don't want to get too granular on this thread. I've asked our training team to follow-up and you are always welcome to reach out to support@workamajig.com. "Best on the market for mid-sized agencies"
Workamajig Platinum gives your advertising agency a program to put all necessary project information in one central location. Everything is documented, and is fairly easy to use. Additionally, Workamajig is great for looking up projects afterwards. Access rights and privileges are also easy to assign. Also, it's very convenient that Workamajig is web-based and they provide a very user-friendly interface. As an added bonus, the mobile app provides team members flexibility. Project home pages can be customized by the individual user. They can show or hide columns or fields that are the most important to them based on their role or how they work. If there are very large projects, with multiple components/pieces, there is no easy way to link them up and put them under an "umbrella" project, for example. Sometimes the "diary" for a project can get very confusing, especially if there's lots of people involved in the project. However, setting up a good system internally for how to post can help streamline things and make the "diary" easier to use. Talk to other agencies who has used the program. It was the best help in making our decision. It is very easy to track your time. It's obvious when you've reached your allotted time on a project. As a result, designers are more conscious of their time spent on particular tasks. Files are also easier to find. Account managers, for example, can easily search for a project, review the original notes and look in the "files" section for PDFs. It streamlines the process and allows for quicker turnaround times for clients. The program also assists with providing future time estimates as you can look up the exact number of hours all team members spent on a project. Thank you for sharing your experience with us. We're glad to hear you're enjoying our product and we'd like to make your experience even better! Workamajig does have the ability to utilize "Campaigns." Our training team will be reaching out to you shortly to schedule a convenient time to show you how this can be set up. "Jigs May Not Be The Best Fit For You"
It's incredible unintuitive and flash based. Unless you are a medium to large marketing or advertising organization, then I don't think that this is the tool that would best suit your needs. It is extremely robust in its capabilities, but these are hindered by its lack of mobile capabilities. And although the Platinum version attempts to remedy its standard dated user interface it just doesn't provide any more intuitive of an experience with the tool. Its reporting functionality is vast and customizable, and provides our organization with a great deal of financial information on our projects. We also rely solely on this tool for our entire organizations' timesheet entries and it is in this area in particular where it does have a tendency to crash frequently and since it does not have any auto save functionality data is frequently lost. We also don't use this tool to create our work back schedules or resources even though it does have this functionality. We found that unless you follow the workflow requirements set out in "Jigs" (as we refer to it) you won't have the ability to use all of its capabilities. This is the case with our organization, as the way we distribute resources on tasks isn't compatible with the way Jigs needs to resource teams. We appreciate your feedback, as it gives us the opportunity to continue to improve our product. We are happy to offer your team training on the new Platinum version since we've added more features including a better experience on a phone browser. I've asked our training team to reach out to assist in getting this set-up. I like the sleeker new design and the search capability of WMJ platinum. You are able to easily see where projects are in the process and if any are at risk - this feature is much better in the platinum version than in the standard WMJ application. I find the long-form view of projects difficult to navigate and the collapsing of diary posts to be confusing. I've often missed the latest diary post in the new format, I much prefer seeing all listed ensuring I haven't missed anything. If you are looking for a full view of all projects - complete and active - pull a comprehensive report rather than searching on the home screen / in old projects. Thank you for sharing your feedback and we'd like to make your experience even better! We have resources available for our Platinum users including new walk-throughs to help navigate the interface as well as Platinum tips listed in this link: http://help.workamajig.com/platinum-tips. Our team is also happy to address questions at support@workamajig.com. "Love the look and all the changes"
The sleek new look. It still has everything I need and is easy to move around, it just looks better getting the job done. It's easy to find just what you are looking for. I also love that information that is put on the calendar shows as a sidebar. In Classic, most users never used the calendar. In Platinum, all users will be using the calendar. We use the in/out board daily. In Platinum the board does not stay open like it does in Classic. Hopefully this will be something that can be changed. I was a huge fan of Workamajig Classic but Platinum has blown me away.. It is so easy to use and now it looks good too. I would highly recommend to anyone considering using. It is so nice to have all your data in one system. Your clients, your projects, your time, your billing, your payables, purchase orders. All in one system. All tying together. Makes your day so much smoother when it's all together in one system. The new reports, charts and graphs are very helpful. They allow me to create the graphs and charts in Platinum instead of exporting data to excel and manually creating the same graphs and charts in excel. I save the time and honestly, the ones in created in Platinum looks so much better. I feel this benefits our company, saves time and presents a much nicer product. "Platinum a huge improvement from the flash version, but work still needed"
I like the interface of Platinum much better than the old version, primarily because my creative team appreciates this interface much more. It's more intuitive and certainly easier to use on a mobile/tablet. The windows stack nicely on each other and it's a sleek version of the database. There is functionality in the flash version that's not yet in Platinum, and Platinum still has some bugs. But it's on it's way. I highly recommend Platinum, but you need a dedicated team of people able to build it and implement it. And it requires a lot of work to maintain. It can be buggy at times which can make use difficult, and it is a heavy lift in terms of staying on top of the data to make sure everything is input properly. I wouldn't recommend this to an agency/department that didn't have at least one full-time WMJ administrator and a team of 2-3 people to learn it well and manage it moving forward. It's the blessing and curse of WMJ all in one - it's a system that can tell you anything you want to know about your projects, but because it's so robust, it requires a lot of data entry in several different areas, so when you miss a step or don't capture something, it has consequences. It's been very useful to our firm to have the product, but 18 months in it's still a lot of work to make sure all of the data is in correctly all of the time. We used Platinum to put work processes in place to make work flow more smoothly through our company. It's helped us make huge strides in efficiency and in tracking financials against clients/projects. Thank you for sharing your experience and feedback; we are glad to hear WMJ is aiding in efficiency. Workamajig is designed to be an enterprise solution for creative firms, taking the place of all other systems. As mentioned, detailed implementation is imperative to make sure info. flows correctly through the modules. We understand this can be time consuming in the beginning, but is meant to streamline processes moving forward. Our training/support team is here to help with implementation and any questions that arise at support@workamajig.com. I like how easy it is to input the time every day or every week. I specially like the copy feature so I can duplicate time sheets easily when I am working on the same projects for a while. I don't believe I have anything in particular that I dislike. I always try to make my coworkers switch to Platinum, they are still on the standard Workamajig. If they see it open on my computer screen they always ask me about it and as soon as they see the easy of use once you get to the timesheet view, they all are sold on it. The most challenging (not really) is to set the timesheet view as your home screen because most of the creatives like me go to the "creative" user instead of to the "everyone" profile from the main menu. It has been easier for me to enter my time every day, I just leave the page open on my browser and enter the hours on every project as I work during the day. With the previous version it wasn't as easy for me. "Outstanding Platform for Recording Time"
Easy-to-use tracking system, Various options for design preferences, the real-time dashboards that highlight real-time daily progress, reducing your need to micromanage and reminding employees of what they need to do to stay on target. I enjoy the notes sections so I can let the managers know exactly what I am working on for that time. Sometimes it can be difficult with the interface when I am deleting cells or choosing a new task. When I am scrolling through the job numbers choices it will sometimes close out of the window when I am not ready. I dislike having to ask the account manager to 'invite' me to the job, it wastes a lot of productivity time. "Vice President of Client Operations"
It has a nice design and I like how you can give different dashboards by role, i.e. PM, or creative or admin. It takes a lot longer to build a schedule then in the older system. I.e. you have multiple steps in Platinum that use to be one step. It is always very glitchy, i.e. when I hit duplicate tasks, sometimes it does it, sometimes it does not. It does not seem to be dependable and my team seems to lose a lot of their work when working in platinum. Ease of use has a long way to go. It seems to take us twice as long to build schedules and is very glitchy. Traffic and staff utilization, project budgets and profit analysis. "Huge Upgrade from Regular. Well organized and pleasant UI/UX." The information is easily manageable and the layout is very intuitive. The layout is leaps and bounds better than the classic version which is extremely appreciated. The UI is probably the biggest improvement with draws and intuitive structuring of information. Time tracking and widgets are more accessible instead of just put into a menu inside of a menu and a lot of the excess functionality is tucked away unless you need to access it, in a spot where it in non invasive the the rest of the experience. The overall layout is a huge improvement from classic, however there are still some functionality issues that are somewhat obnoxious. Certain information not linking over and limited functionality that can only be used in classic view (although this is very limited and overall is not much of an irritation). The system can sometimes be slightly glitchy, not sending read reports and update notices, although I am not sure if this is a problem with Platinum or how it links to our systems email / network. The notifications generally allow our project managers to move things along, however we get repeating information and questions if they never get notified about status updates which can slow things down quite a bit. It's fairly intuitive, and very capable. As long as you use it the way it is intended than it really should help with organizational and time management quite a bit. Time tracking and time management, file storing and transferring. This helps our internal partners with billing and production estimations. Over all it's a useful program that helps with scheduling and keeping track of stages of production and completion on different projects. "Pretty effective for time keeping and project numbers"
The time keeping can be stretched by day, weeks, hours and as someone who has to keep track of their time in 15 minute increments I feel the start/stop functionality lets me focus on work instead of hours. Mobile use is a little weird, the calendar often overlaps buttons that I need but on the whole it's still a TON better than the old flash-based version. It works across any device I've experienced, and the biggest challenge isn't so much in the software itself but ensuring everyone in your team is using it the same way. There's many ways to accomplish the same goal so standardization and training with your internal team is critical from launch. We use it for everything from account, project management, time tracking. Using platinum is relatively new for us and we're discovering which browsers it works best in but almost everything we do, including project notes in the diary function are through WMJ. Thank you for taking the time to share your experience! We are thrilled to hear Workamajig has made time tracking easier and that you are liking our new Platinum interface. We would like to make your experience even better on the mobile app; your account manager will we reaching out soon to review the details. "Well-meaning, but leaves much to be desired"
I like that the Platinum view is way less complicated than Classic. Easy to input time (when it works). Let's see: The app times out way too quickly in my opinion—I usually keep my WKMJG timesheets open in a browser tab, and sometimes by the time I input time at the end of the day, I can't scroll down through the Project/Task fields to make appropriate selections (i.e., I either have to refresh or remember the task title or number as opposed to scrolling down to see my role, "Copywriting"). Diary posts are too cumbersome—I get duplicates of every post I make, and when I go to view the Conversation feed, I can't click on, or even know whether there is, any attachment without first opening that post. Based on the way I work, I would prefer a calendar view of my deadlines/milestones for each project, as well as the ability to see how these milestones overlap. Not sure if this is just the build we have or if this is even possible, but "task cards" don't really work well for me. If you want this to plug into your billing, estimating and scheduling systems, this is for you. If you, like me, want a good view of your actual workload, and your project timelines in a calendar (not Gantt) format, and the ability to view multiple projects, look elsewhere. I'm sure it's valuable for the backend, admin side of the house, but as a Creative...it's just kind of there. We appreciate your honest feedback, as it gives us the opportunity to continue to improve our product. There are available solutions to the specific issues you have and we'd love to help you resolve them but don't want to get too granular on this thread. Our team is waiting at support@workamajig.com to help you. I appreciate how they value and understand the perspectives of so many different users. It is just one product, but it becomes something totally different and unique to each person that uses it. It is so customizable and comprehensive, anyone from billing to creative can be comfortable and get what they need. Although I do appreciate the refreshed UI design in Workamajig Platinum compared to the incredibly clunky Standard, I feel like their UI reinvents the wheel a few too many times. Getting around is not always intuitive, and many times it feels like they cleaned up TOO much, so that certain things are hard to find. Plus the option to have multiple modules open in the same window will be very missed. There is so much to use here, it will really take a while for your company to get to know it and see how it will work for you. It's basically a super-combination of Salesforce, slack, trello, dropbox, and much much more. It doesn't do all of those things perfectly or as robustly, but there's a lot to be said for having one unified workspace. Workamajig is an end-to-end workflow management solution. We need very little, if anything else. From my department, I see Workamajig as offering excellent efficiencies in project management, time cards, and billing. Having all those components connected to the same database keeps us moving at the pace of the work coming in. Thank you for sharing this with us. We're glad to hear you're enjoying our product and we'd like to make your experience even better! We have resources available for our Platinum users including new walk-throughs to help navigate the interface as well as Platinum tips listed in this link: http://help.workamajig.com/platinum-tips where we review how to have multiple windows by utilizing ctrl+click (or command+click on a mac) on a link to open in a new browser tab. "Gets better with every update!" Clean look and feel, layered pages to know how far down one path of navigation you have already gone, multiple ways to get to similar information based on preference. Sometimes the navigation feels too layered, like you have to go all the way back to the beginning and start over. Scroll glitching can get in the way. Sometimes the loading of information takes a really long time compared to Classic Workamajig. Be prepared to roll out in stages (like we have and are still doing). There's a lot of moving working pieces, that if used correctly, can create a beautiful digital world for your company's processes, project execution, and accounting needs. Project management system to house budget, timekeeping, deadlines, task directions and information, and team communication. Billing that directly connects to labor and expense costs are providing us with business information we've never had before as a small agency. Thank you for sharing this with us. We're glad to hear you're enjoying our product and we'd like to make your experience even better! There are available solutions to the specific issues mentioned and we'd love to help you resolve them, but don't want to get too granular on this thread. Our team is waiting at support@workamajig.com to help you. "13+ years and always getting better"
The integration between projects, work flow and accounting is seamless. The report options are countless and the continuity between screens makes it very easy to train new users. The Workamajig staff has a dedication to making the product better and better which can be seen in their updates to the software each month. In addition, their support when issues or questions arise is beyond question, polite, quick and with a depth of understanding of the software similar to what you would expect your own employees to have when speaking to your clients. There aren't many things I dislike about the software. I have gotten used to the Adobe Air version of the product that isn't currently supported with Platinum. Perhaps they will offer that soon. I'm happy to speak to anyone looking to make the switch. I can't talk about the transition but I can help you to know how it works and any concerns you might have. Platinum helps us stay ahead of the curve, looking at leading and laging indicators so we can make the best business decisions. We use the software to see trends and fill in the gaps. Thank you for sharing your experience with Platinum and our support team. We are glad to hear you are enjoying the new interface. Please let us know if we can be of any assistance at support@workamajig.com. I like that you can approve, and then create invoices all at once for all of your clients versus creating one at a time. You only have to put the invoice date in once as well and it populates in all of the invoices. The billing worksheets are much easier to work with as well. The reporting is not always easy and unless you understand the tables it is hard to get the correct data in your report. I think this is just a matter of some additional training from Workamajig. The vendor invoice input screen could also be less clumbersome. You create part of the entry with one screen and then for the balance of the items you have to go to a different screen. Understanding what you want out of the system and working with Workamajig's great people to set it up is important. There are some things now that I have been using it for a while that I think we can do better by employing the system more. My task this year is to accomplish this. We now use time and materials to capture all of the staff time that then flows directly to the project and then to the invoice. Our profitability has increased greatly since using Workamajig. "Workamajig Platinum - A Powerful Tool for Your Toolkit"
Two days before rolling out WMJ to our agency, the client portal and project manager were released. Made the decision to use Platinum rather than classic (flash based), due to the beautiful interface. 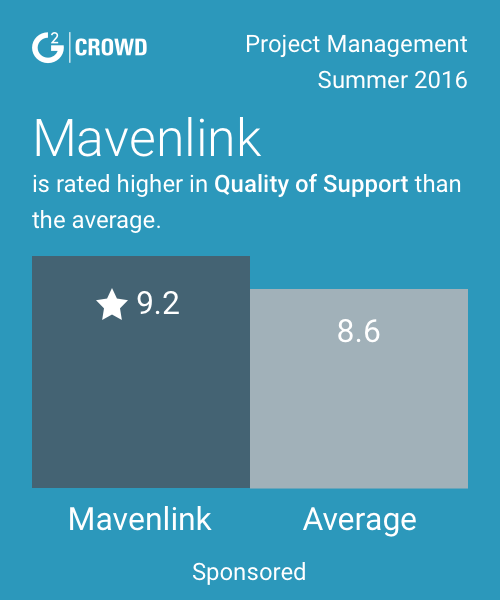 It allowed a lower level of angst among both our internal clients, but staff users. For clients, It is more intuitive to use and requires less training than classic. This is a huge time saver for the few of us on my staff who are handling the training. Honestly, it is still a bit buggy in a few areas. During a roll out this has not been ideal, but the WMJ support staff have been EXTREMELY responsive to get us back on track. Thanks so much to Randy and Esther who are my rock'n team, and all the engineers!! Since WMJ just launched, plan on implementing the "Workamajig Way" which is a best practices approach to utilize the built-in functions of this very powerful tool. Log-in credentials - Currently have to input every client log-in request (insert hair pulling). A client self-created log-in account would be such a huge assist (with review by WMJ admin). Understand, from the 5.0 conference, we may be able to use SAML. Emailing tech support - I would rather be able to call and speak with my account manager directly. Emails are cumbersome, especially if in a different time zone. So WMJ, hire more support staff to reduce the client load each manager has. It will make a huge difference and be much appreciated. Online training - Ugh. Only an hour a week is not ideal or practical when there are so many questions. More updated/current online videos showing how-to in all areas would be wonderful. A step-by-step guide in the program would be helpful to our clients (and us). Online help guide - Somewhat helpful, but needs to be more in-depth. Not all aspects are fleshed out enough to answer many questions asked. Security groups - A more detailed explanation of each specific permission. Some of it seems like in-side baseball. Terminology - Use the same language throughout the platform, guides and communications (e.g. tasks, assignments, task assignments, etc.). It will keep the confusion to a minimum. Language - Only in English. Our clients globally need to see the platform in Spanish, French and Arabic. Heard at the 5.0 conference that at least Spanish and French will be added, and will be user activated. After reviewing MANY different platforms, WMJ (classic) seemed the best on functionality, support and price. Since launching Platinum, the UI is user-friendly which is allowing a better acceptance rate among our clients. Definitely speak with the WMJ team to learn more and speak with companies that are currently using WMJ to find out pros and cons. As the internal marcom production director, I was tasked to find a "one stop shop" portal for our internal clients. This was particularly needed for our colleagues overseas and in U.S. regional offices, in addition to the ones in our building (about 4,000 total). This meant all project requests for all creative needs must reside in one place and be customized (we currently have four, with two more on the way), and accessible from anywhere. Project requests need to be directed to the right project managers for review to avoid silos and gaps in coverage (connecting the dots). Production had previously managed only design projects. Our mandate was to now enable all marcom units with a staff of 50 (communications, social media, advertising, web, video, print shop, marketing strategy, Hispanic marketing and editorial/writing) to have projects in one location for easy review, management and reporting. Part of the reporting requirement was also to track time spent to show how resources/staff are being used (or overused), and which clients utilized what percentage of services (currently free, except for printing). It should show the metrics why more resources/staff and a charge back system are needed. Oh, and it should be easy to use to meet 100% use worldwide. Thank you for taking the time to share your experience with Platinum and your support team; we are pleased to hear it was been a positive one. We appreciate your honest feedback as it gives us the opportunity to continue to improve our product and service. Please let us know if we can be of any assistance. The platinum interface is extremely clean and intuitive and allows you access to different screens without having to close out and go back and forth. This will allow for greater continuity of work and less wasted time. Since the entire platinum platform is still being developed and refined, I cannot make an accurate assessment of any items that I do not like as yet. Once completed, it will be easier to assess any issues. I use workamajig to run our entire company and have been doing so for almost 9 years. The development and implementation of the Platinum interface will only enhance the capabilities of the product and will be even more user friendly. I would highly recommend this product! I believe the CRM module will be extremely beneficial to our Marketing Team and allow for greater efficiency especially since you can go from leads all the way through to an actual project within the system. Thank you for taking the time to share your experience. We are glad to hear WMJ has delivered value to your team. Please let us know if there is anything we can assist with at support@workamajig.com. "Our company continues to evolve along side Workamajig!" The Platinum interface is certainly more intuitive than the Classic version. I love that rather than customizing for each user (or security group) from scratch, Platinum has already identified the parts of the system that would be most relevant to each user. Change is always hard, but I have to say that Platinum is proving to be an easier rollout than the Classic version by far! We started with Workamajig in 2008, which brought timesheets, project management, client billing and finance into a single system. It was a huge organizational upgrade at a time of growth for us. With the launch of Platinum, we are excited to adopt the CRM and Resource Management components. Along with managing client relationships better, using CRM (Opportunities, specifically) will streamline our forecasting. Regarding Resource Management, this tool will help our PMs assign work and predict freelance needs. I also see it helping to inform our hiring process and inform our growth. Thank you for taking the time to share your experience. We are glad to hear WMJ is delivering value to your team and we are happy to continue this evolution with you! Our support team is available at support@workamajig.com for questions and we also have resources available for our Platinum users including new walk-throughs to help navigate the interface as well as Platinum tips listed in this link: http://help.workamajig.com/platinum-tips. "Workamajig Platinum has a lot of potential. " I really enjoy the new interface. It's much sleeker and aesthetically pleasing. I also enjoy how some things save automatically such as the time sheets. I feel like there are a lot of kinks left to work out in Workamajig Platinum. My team is working on converting our entire company over to Platinum. We currently have our project managers working out of it now, however, we've come across a few bugs so we're still not confident in adopting Platinum agency wide. I like Workamajig classic because I never have to have two workamajig windows open on my desktop. However, with classic, I do because as a project manager, when I go to schedule, I need to also be able to view the capacity window. WMJ classic made that easy. However, it's a little more complicated when using WMJ Platinum. Nothing yet that hasn't been solved with Workamajig classic. Thank you for sharing your experience with Workamajig; the areas that work well and the one's we can improve upon. As we continue to evolve Platinum our support team is happy to address any questions and review streamlining workflows at support@workamajig.com. It's my first user experience with a project management software so I don't have much to compare it to but it seems sufficient for the task at hand. There are way too many steps for what should be a more simplified task. I also do like all the additional windows that stack when you are trying to enter a project request. It needs a better UI. Make sure it will fit the needs of your entire department or company and not just meet the needs of a few. The software has many bells & whistles but it can be over whelming if you don't need all of those features. Lack of tracking the many projects we process in our department on a weekly, monthly and annual bases. Truth be told, there isn't much to like too much. But if push came to shove, the best features are the intuitive names of different sections/tasks, and the application is definitely superior to simply using the website. The software has an extremely clunky interface; additionally the platform seems to be always undergoing changes (often releases that change many features), but no issues are improved nor are there ever any UX enhancements (which would be welcomed). I would honestly check other competitors (e.g. Jira, Mavenlink, maybe even Asana) before committing to Workamajig. There may be very niche companies and/or uses, that would lead to Workamajig being a valuable tool to be used, but we were not in a place where this was the case, nor can I think of many cases like this. Time reporting and client/project/task level billing. Thank you for your honest feedback as it helps us to continue to improve our product. Have you had an opportunity to check out the all-new Workamajig Platinum Interface? We've completely rebuilt the product to be more responsive, intuitive and easier to navigate and have already rolled this out for most users. There are no added costs for platinum and you can check it out at any time by simply adding /platinum to the end of your login URL. We've also set up walk-throughs to help you navigate the new interface and can offer free training on the new apps. As always, we welcome any questions or enhancement suggestions you might have, please feel free to let us know at support@workamajig.com. We're here to help! "Useful in Theory; Clunky in Reality"
It is nice that it is one place to access all projects. It is not intuitive; hate cascading windows. Best to use for simple workflow for few projects. Painful to use for large volumes of work, especially when billing is not integrated. We are using it as a centralized project management software. It is nice that all of the key project set up information is in one place, however, it is very challenging to keep accurate with timely information due to the quantity of projects we manage. Thank you for your candid feedback. We do offer an option to open items in Wmj in a new window as opposed to the cascading view. Simply ctrl+click the feature you'd like to open. Workamajig offers a fully integrated billing & accounting system. I've asked our training team to reach out to offer a free demo of how this feature works. "WMJ Platinum has a nice workflow with easy-to-find information." I love the ease of workflow that platinum provides. Projects/jobs are easy to find and keep track of, and communication is streamlined in a user-friendly way. It is kind of hard to figure out how to generate certain reports and make simple changes--there are a lot of ins-and-outs that the typical user would not know about. System is not intuitive and takes alot of effort and energy to tailor the system to your business needs. This is so much of an issue that there are independent contractors that have established their own consulting business to specifically assist with Workamajig implementation. We are tracking schedule in actual time; the online system works remotely so you do not need server access to view schedule/related documents. Thank you for your candid feedback as it gives us the opportunity to continue to improve our product. Workamajig is designed to be an enterprise solution for creative firms taking the place of all other systems; Project Management, Time Tracking/Resource Management, CRM, Accounting, etc. To ensure information flows correctly between the different modules, detailed set-up and implementation is imperative. We understand this can be time consuming in the beginning, but is meant to streamline processes moving forward. Workamajig offers training and support to assist our clients with set-up and maintenance or we have consultants we can recommend to firms who want to also evaluate their internal processes. Integrates with Jira time logging. Simple to submit time for review each week. Navigation is simple. The UI/UX takes a bit to get used too and it also doesn't look as appealing as other time sheets. Filling in expense sheets can be a huge pain. Especially when uploading images. If you want a quick jira integration I would suggest using workamajig. Sometimes complicated changes on JIRA does not get applied to WOrkamajig. Such as updating time, changing dates of the time. We appreciate your honest feedback, as it gives us the opportunity to continue to improve our product. We'd love to get additional information and review the issues you are experiencing with expense sheets. Our team is waiting at support@workamajig.com to help you. "A rewarding complex took that is robust in information "
I dislike having to refresh the screen sometimes and how long it takes to load new information. I would recommend using Platinum over the Classic version. The Classic version is very dated and not as user friendly. Workamajig Platinum allows everyone access into each project. It helps to make the work more transparent across the teams. Thank you for taking the time to share your experience. We're glad to hear you're enjoying our product and we'd like to make your experience even better by checking into which screen(s) are taking extra time to load. Our team is waiting at support@workamajig.com to help you. "Multifunctional platform, great for all encompassing project and finance system"
I like that everything can be in one place. Everything from project management to billing, and time can all be in one place. I also like that it can be customized to our particular business, needs, and shortcuts/preferences. It takes a little while for personal preferences to get updated, there is definitely a learning curve, and sometimes it can look and feel busy. Be patient with it, but it can be an all encompassing system if you let it be. "WMJ Platinum is growing on me"
The organization of everything. I like how it's divided amongst everyone, project managers, etc. Not being able to have two windows open at once, such as the staff schedule and a schedule you're working on. I dislike that it does not have a project snapshot like the previous version of WMJ. Use the how to section if you don't know how to do something and spend a lot of time playing around in it. Click on everything and see what it does! It lists your pages in a more organized, cleaner manner. We appreciate your feedback as we are continually working to improve our user experience. There is an available solution to the specific issue mentioned and we'd love to help you resolve this, but don't want to get too granular on this thread. Our team is waiting at support@workamajig.com to help you. "Platinum is so much better than the old version! " Timesheets are never fun, but Platinum makes the process so much easier. I like that I only have to input each job and task information one time per week. I also like that Platinum is visually appealing and (for the most part) intuitive. I don't know how to submit my company card charges with platinum so I have to log into the older version. The process in Platinum is not intuitive, and I would rather just stay in Platinum. Be sure to explore all the features of Workamajig Platinum so you use the software to its full potential. The process for requesting stock through Workamajig Platinum is really streamlined and makes a lot of people's jobs easier. Thank you for sharing with us. We're glad to hear you're enjoying our product and we'd like to make your experience even better! Our support team is happy to investigate the issues with card charges at support@workamajig.com. "Useful software with a lot of potential "
"Great Product; Easy to Use"
Workamajig is a great product because of its versatility. It allows you to customize your project workflows for what your company specifically needs. It also will connect via an API to your Accounting software to account for billable hours, which is great. It has great features for tracking hours worked on each project and to easily view how much work is on your team's plates for the upcoming days so you can plan accordingly. There were a few features our company used with project workflow software that Workamajig didn't have, which were the ability to auto assign teams to specific projects; with Workamajig you have to manually assign the team members who will work on each task / project. The other feature that was more challenging with Workamajig was review cycles, meaning reviewing work and sending it back for rework as many times as needed. When doing a cost / benefit analysis, Workamajig is great. Thank you for sharing this with us. We're glad to hear you're enjoying our product and we'd like to make your experience even better! WMJ has an auto-assign feature we would love to review. Contact support@workamajig.com to learn more. "New User - so far easy to use"
Easy navigation to what I'm looking for. The user experience to click through to headings flows well and makes it easy to find project details. Not being able to create reports on my own or view billing once it has already been approved. This may be a setting my administrator has set for my user. Read through the training guides on how to use. There are a lot of features that I was unaware of until I started looking through more of the documents. Project management. Multiple teams working on one project with multiple tasks and deadlines. Able to see who is working on what and when items are due. Thank you for taking the time to share your experience! We are glad to hear the training guides have been helpful. Our support team at support@workamajig.com is here to help with questions as well! I like Workamajig for the collaborative features. I like that instead of having siloed projects, you all handle the same project and hand off when you are complete. I dislike the search feature. It is annoying having to change your filters everytime you want to search for older projects. Also, the predecessors sometimes mess up schedules. Spend a LOT of time getting to know and understand the platform and all of its features. Project management. It's a great place to keep track of all tasks and their due dates. "Your Way to Power, Flexibility and Accessibility"
The HTML5 engine is less prone to browser hangups than Flash. The new UI is fast and fairly intuitive, with the feel of a current smartphone OS. For day-to-day work, there are many tasks that are easy to accomplish without having to drill deep into a project. Looking for more customer-configured options on some of the dashboards and report screens (they may still be in the works, as it's still early in the development). Once the initial bugs are ironed out, the benefits over the Flash version (and over other management software) will make this a powerful partner for your office. Easy communication and collaboration across project teams and channels. Capturing information that allows us to pull cross-channel project and schedule data into a single report or search. We appreciate your feedback and are glad to hear WMJ is delivering value to your team. There are available solutions to the specific issues mentioned and we'd love to help you resolve this, but don't want to get too granular on this thread. Our team is waiting at support@workamajig.com to help you. The new interface is much more agile than the flash version. The ability to drill down into levels of information within a project with speed and ease is a real time-saver. Drag and drop within Scheduling is a game-changer for me. Frankly, we had moved away from WMJ as a traffic management tool as not only was it time-consuming to reassign tasks, but we needed a comprehensive overall view that was easy for everyone to digest- looks like our problem is solved! Looking forward to rolling out Deliverables with our clients- again, the efficiency of keeping all information in one space is critical in an industry where account managers travel and/or are often off-site. As Operations Director, my role encompasses both the Project Management AND Resource Allocation roles in Platinum. I'm finding it cumbersome to need to toggle between the two. Make sure your Project Manager and Resource Manager are totally comfortable with the platform prior to rollout. Works best if Finance and Operations work hand-in-hand to keep the team engaged. We've had success with using the CRM functionality to more accurately forecast pipeline. I can see the Twitter feed in the contact view being a great tool for us in fostering and maintaining contact relationships. In addition, the improved features of Deliverables will be a great asset to our team in tracking project history. Looking forward to rolling out the Conversation element to our team- having everything in one spot has been our goal, and this will help! Thank you for sharing your experience and for the honest feedback provided. We have been working to better our user experience and are glad to hear Platinum was a great improvement for your group in 16'. We have continued to evolve and our team is here to aide your organization during the transition. We are happy to address any questions and review streamlining workflows at support@workamajig.com. "The learning curve is high"
Clients trying to learn it is very difficult. The ux design of the system is abysmally complicated and not at all intuitive. Getting approval and having a record of that in an easy to find fashion is incredibly helpful. Since our clients are still internal, we offer have to go back and verify that things were signed off on. We appreciate your honest feedback, as it gives us the opportunity to continue to improve our user experience. We would like to assist in resolving the difficulty clients are having by getting the specifics on what is confusing and having a quick walk-through. Our support team will be following-up. "I didn't think we could afford Workamajig, now we couldn't afford to do business without it"
The new user-friendly interface is easier to use and the designers have embraced it quickly. It doesn't always work well on my phone, it sometimes gets hung up on setting up new meetings. The navigation on my smart phone is a challenge, too. Learn the power of all the modules and tools before setting up your system. There is a lot of good stuff, but sometimes if you set it up incorrectly it's challenging to make corrections. Tracking projects from beginning to end, and creating schedules that are finely tuned, yet flexible and easy to update. I also use Platinum for sales and new business, much more than the previous version of WMJ. We appreciate your feedback and are glad to hear WMJ is delivering value to your team. We are continually working to better our user experience. 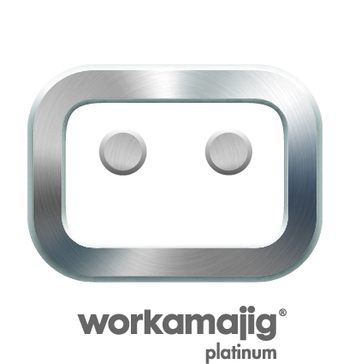 For our latest mobile version include "/platinum" and please let us know if you continue to have issues with our mobile version or if there is anything we can help with at support@workamajig.com. It's really easy to use. I'd never used PM software before, and I had almost no learning curve. The only thing I don't like is not being able to go back to tasks after they are complete. Make sure you're DONE with a task before closing it out as done. It keeps me organized and helps me stay on task. The Project Manager or Account Exec. on the project does have the ability to manually edit the schedule to reopen tasks. We're happy to help you resolve this, but don't want to get too granular on this thread. Our team is waiting at support@workamajig.com to help you. "A step up, but still glitchy"
Platinum is much more aesthetically pleasing than flash as well as contains additional features that are not available on flash. Platinum seems to have many glitches and is, to my experience, gotten glitchy-er as each monthly update is rolled out. For example, I frequently will have to refresh a page and re-enter report filters which can often be time consuming. Our biggest problem we have been solving is decreased time utilization, thus resulting in lower revenue. With Platinum we have been able to address those with lower utilization numbers, increasing their billable hours, consequently increasing our revenue. "Its great for project management"
project management system is awesome and really helps agency. the system also allows different usage by users, however, we can't lock numbers in the system to not allow changes after posting. great for gannt charts and project management features, could use some additional things in terms of financial accounting and what reports are including. different reports do not specify what is included and it can be confusing what is included causing inaccuracies. We appreciate your feedback and are glad to hear WMJ is delivering value to your team. We'd like to do what we can to improve your experience with our product, specifically the concerns you mentioned with the accounting module. Please feel free to reach out to support@workamajig.com to set up a review call with our expert trainers, who will be happy to help with any questions you have. "Platinum is More Refined but Still Could Use Work"
Workamajig allows us to easily open jobs that come into the agency, assign team members to work on it, create/manage budgets, and track our time. We often find ourselves wishing Workamajig was a bit less cumbersome or that it could do more all-in-one work, like allowing us to easily share/markup documents associated to tasks that we've opened in jobs. It's possible that this is a functionality, but it's not intuitive or easy to uncover. Definitely start with and stick with Platinum. The UX is better even though there are still some bugs. Workamajig is used primarily for us to track jobs that come in and out of the agency. We track our time here, use it for accounting, and we also look at the team's workload in the traffic view. It's helped us centralize these tasks. Thank you for sharing your experience with Workamajig; the areas that work well and the one's we can improve upon. We are continually working to better our user experience. I believe there is an available solution to the specific issue mentioned and we'd love to help you resolve this, but don't want to get too granular on this thread. Our team is waiting at support@workamajig.com to help you. The interface is very clean and easy to understand. I like the on the spot training that you can use to learn it. Anytime you have to change something you have been used to it is difficult. It takes some time to get used to the change, but it is for the better. Thank you for taking the time to share your experience. We are glad to hear you are enjoying our product and have utilized our training resources. We are continually adding new walk-throughs to help Platinum users navigate the new interface and our support team is also available for questions at support@workamajig.com. "Platinum helps us get organized and stay organized"
Platinum has been set up in a way that it is easy for users to find the information that is relevant to them and can take an informed approach on next steps. I can't express how much thought, planning and understanding Workamajig does to make the user experience wonderful. This allows us to concentrate on improving our process and reading the data so we can improve year over year. I really can't say I dislike anything. It just takes time to understand and find the functions you need in Platinum. If you spend the time learning, it pays off quickly. Where do I start on benefits. The most important item, is organized and structured data points and the ease of updating templates. Thank you for taking the time to share your experience. We are glad to hear you are enjoying Platinum and please let us know if we can be of any assistance at support@workamajig.com. "Works well, still has some kinks. " I love the new user interface experience. It's clean, modern, and works well overall. There is no easy way to see transactions made within a job. I feel like I spend a lot of time hunting for functions that were easily found in Classic. Still undecided on the main screen and having to "switch hats" depending on the role I'm playing that day. The timesheet entry system is easier than Classic, loving the function of entering time across multiple days. Being able to set up daily hit lists via the system is incredibly useful. Thank you for taking the time to share; we appreciate your feedback. There are available solutions to the specific issues you have and we'd love to help you resolve them, but don't want to get too granular on this thread. Our team is waiting at support@workamajig.com to help you. "not the worst timesheet/accounting suite I've used but also not very usable"
It has a lot of flash and gusto but simply does not work as intended for the most part. My team has difficulty helping me accomplish certain things within the software and oftentimes cannot show me how to use certain features due to difficulty and differences between this and older versions of the software. Thank you for your feedback. It sounds like you've had some difficulty transitioning from the older version of our software to the new Platinum interface, and we appreciate you letting us know. We want you to get the maximum benefit from our product, and we'd be happy to get you set up with some free Platinum training to help ease the transition for you. Please feel free to email support@workamajig.com and we'd be happy to get this set up for you. "Good tool with opportunitiy for improvement"
We appreciate your feedback and are glad to hear WMJ is delivering value to your team. I believe there is an available solution to the specific issue mentioned with PDF's and we'd love to help you resolve this, but don't want to get too granular on this thread. Our team is waiting at support@workamajig.com to help you. * We monitor all Workamajig Platinum reviews to prevent fraudulent reviews and keep review quality high. We do not post reviews by company employees or direct competitors. Validated reviews require the user to submit a screenshot of the product containing their user ID, in order to verify a user is an actual user of the product. Hi there! Are you looking to implement a solution like Workamajig Platinum?